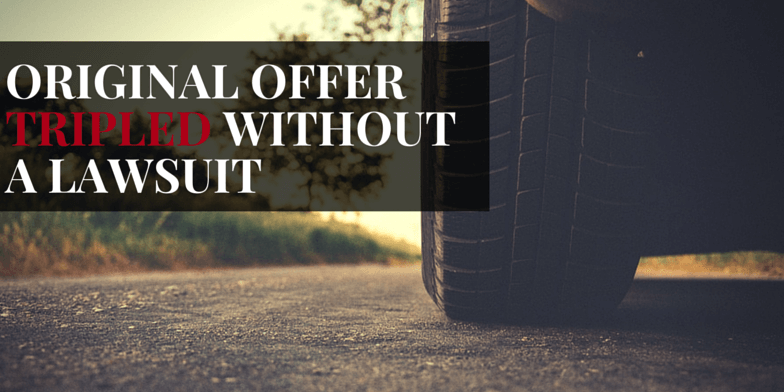 Original Offer Tripled Without a Lawsuit | Hupy and Abraham, S.C.
Our client was riding in a vehicle on a summer day in central Wisconsin. She was wearing her seatbelt as the driver accelerated to unsafe speeds on a gravel road. The driver lost control, and the vehicle rolled into a ditch. Our client sustainedwrist and shoulder injuries as well as a concussion. She made a full recovery after three months of treatment. The insurance company's low-ball offer was $17,000. The client wisely rejected the offer and hired Hupy and Abraham. Without filing suit, Attorney Douglas Ross resolved the case for over $58,000 - more than triple the original offer.